This site is in no way affiliated with Porsche Cars USA. 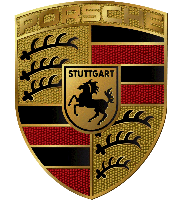 The logo is used to identify Porsche Cars for service by our company only. We can make keys to your 1997-2004 Porsche. Click here for instructions and pricing. Expected to pay $3 to $5 for a set of replacement keys and shocked to discover that the dealer wanted $400.00-$500.00? Even more surprised to hear that you will be waiting more than a week to drive your car? We can help. We can get your car up and running for a fraction of what it will cost at the dealer. We are the ONLY source with a solution for your Porsche when all the original keys are gone. Whether you have a Porsche Boxster, Cayenne, Cayman or 911 we can help without towing or buying new equipment for your car.